Guest posts on Geek Alabama must have something relevant on the world of technology, geeks, nerds, and the overall geek/nerd culture. Posts talking about issues in Alabama may also be accepted, although if it’s really controversial, it will not be posted on Geek Alabama. All blog posts must be family friendly, which means the articles are appropriate for families. Geek Alabama will also not accept low-quality submissions. Geek Alabama will not accept guest posts that are a sales pitch. We reserve the right to edit your guest article. All guest posts must have over 500 words. All posts must have less than 2000 words, unless approved ahead of time with Nathan Young. Up to three pictures/embedded videos can be included in the guest post. All images/videos should be properly attributed and have been credited. Guest posters must give credit and site content where necessary. Geek Alabama does not accept guest posts from authors whose sole purpose is link sharing. We reserve the right to refuse content and remove links and bios from submitted posts. The guest post will belong to Geek Alabama and the writer of the original post. The article cannot be republished anywhere else. You can share links to the post on social media accounts or other articles/websites. If the guest post is found on another website with the same wording, you will be asked to remove that post or your guest post will be deleted off of Geek Alabama. Sponsored posts are allowed on Geek Alabama. If you want to submit a sponsored post, please go to: https://geekalabama.com/ways-to-contact/. What you will get when you guest post on Geek Alabama? 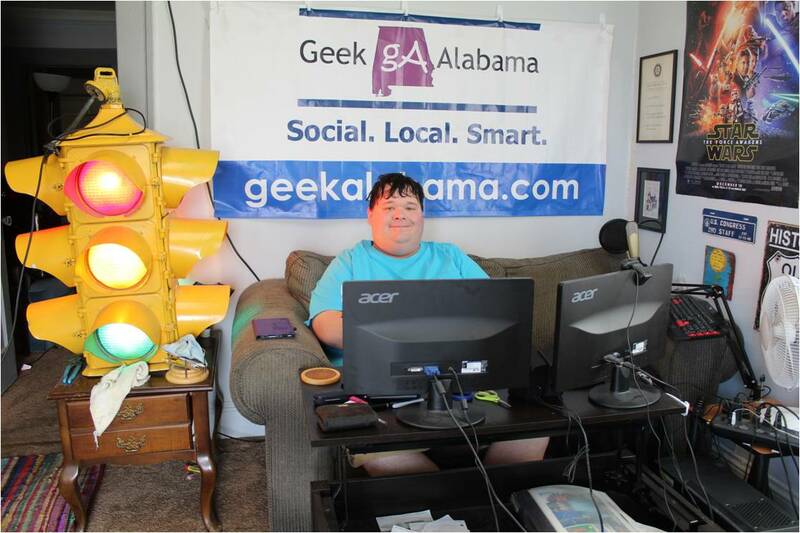 A custom Geek Alabama banner will be placed on top of the article just like every other Geek Alabama post. We will place a link to your website/blog on the bottom of the article. We will place links to your Facebook and Twitter accounts at the bottom of the article. We will place your name and short biography of you at the bottom of the article. The article will stay up and never be deleted, unless you request it to be removed, or if you break the rules above. View our media kit one page below!